This is urgent! Please pray for the People effected by yet another earthquake in Mexico. This one was much closer to Mexico City in the State of Morelos. At least 43 people are known dead and this figure is expected to rise dramatically. Whole buildings in Mexico City have collapsed including to school buildings full of children! I'm terrified for my Friends and Family who live in Morelos, Estado de Mexico and Mexico City! Today is the anniversary of the devastating earthquake of 1985 that killed at least 5,000 people! Oh Thomas this is totally devastating, I'm sending prayers up for everyone there and will continue to pray for the unforseen future! Oh, Thomas! Have you been able to reach any of your family and friends in Morelos or Mexico City? Please keep us posted on whatever you find out, please. I will be thinking of you and hoping that everyone you know and love down there has escaped any injury or damage. No calls are going through. I have to trust in the Lord! I've been watching the new and praying and thinking of you and those you love. Keeping you and your loved ones in my prayers daily Thomas......this is a terrible tragedy. Stay Strong. This is really sad news. Praying that your friends and family are safe. God bless help the people who live in Morelos, Estado de Mexico and Mexico City. Such a horrendous thing with which to deal - and not knowing has got to be so difficult for you. Everyone will remain in my prayers. Thomas3.20.2010 Sending prayers and love and hugs and so hoping that this is not going to be like the last one. I was watching the news when they showed a building collapsing...I have no idea if anyone was inside but it was terrifying. Your friends and family and ALL of Mexico are in my prayers along with those in the path of Maria with winds of 175 mph headed right for Puerto Rico. How terrifying this all is. I just heard from Family in Tlayacapan, Morelos. Family is safe there! Still no word from other places. Will update as known. "At least 119 people were reported killed, local officials and news agencies reported. They included 54 people in Morelos state south of Mexico City, 26 in the state of Puebla, nine in the state of Mexico — which surrounds the capital — and 30 in Mexico City." Yes Thomas, I heard the same numbers on the radio on my way home, they were also saying 59 people were saved from under the debris, thinking and praying for your family and for you to hear from them soon. Friends in Oaxtepec, Morelos doing OK. Still waiting to hear from others! Thank You everybody for your Prayers! There is strength in numbers - especially in numbers of prayers. Breathe Thomas, keep breathing. Friends in Cocoyoc, Morelos are fine! Wow so sad to hear about the earthquake. Been watching it on the news too. Sending prayers for family and friends and prayers of comfort, love and hugs your way Thomas. Glad to hear that, Thomas. But there are so many others there going to bed tonight with a pain of emotion I frankly hope I never experience personally. Yes, the quake the other day triggered my PTSD from the 1985 quake. I was on the 16th floor when it struck. Neighbors in the very building died that day. I will never forget. Quakes are followed by after quakes so you sleep literally in the street and most people don't realize Mexico City is cold!!!! There are also fires that sweep through buildings caused by gas leaks. Food, water and even blankets are in short supply and transportation stops. It's not just those seconds of the quake - the ramifications last for Years! I was in an earthquake when I was around 9 years old in Jamaica. Had nightmares for YEARS after that. Only minor damage was done to our house, a landslide on one side, fortunately. But having been through one, shall I say it's a very intimate psychological, emotional, and physical experience. One I never hope to live through again. That's why I never was too keen on moving to LA for my career. I "hear" you Thomas. And you were in the one in '85. Wow. Yes, that would trigger a whole bunch of nasty stuff. My advice - don't "go" there in your mind. When those images start presenting themselves to you in you brain pain - just put up a block like we do for ads on our computer or spam calls on our cell phones. Block them and move on.. Dwelling on them is not GOOD for our beings. While dwelling on "other" things are much more enriching. My prayers go up recurringly throughout each day. My heart goes out to everyone impacted by this horrible event. You can find more information about aid opportunities here how-to-help-mexico-earthquake-victims. Thomas3.20.2010 I was watching this morning as the people are sifting with buckets and singing a "traditional" Mexican song and my heart was just crushed as I thought of all of those parents looking for children in that elementary school. It's so hard to be in that limbo of not knowing. My prayers are with Mexico as well as Puerto Rico and all of the places so devastated recently. If you should hear anything that we do not hear on the news, please let us know. Sending thoughts and prayers ! My Folks in Estado de Mexico and Mexico City are alive! Gracias a Dios! Thank You, God! There is damaged to their homes but they are alive! 4 people died in Tlayacapan. So happy for the good new Thomas! Great news Thomas! I'm continuing to send prayers and BIG hugs your way! 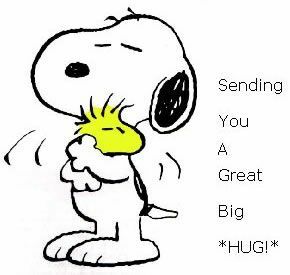 I'm also continuing to pray as well and here's huge hugs being sent to you my friend. Do you want to see a grown man sobbing uncontrollably? I've been following this on the children also. And an office building filled with young people applying for work. This is just too sad for words. All of our prayers continue for God to send strength to these people. It reminds me of Oklahoma City 1995 (Timothy McVeigh) except this was a natural disaster. Several buildings collapsed. They said that the buildings "pancaked" and people were trapped, may God bless them and their families. These are some really sad times. I am so glad your family members are safe, Thomas. Thinking of you and your family Thomas and for Mexico. How sad. I am keeping all in my prayers. I hope there is no more to come for Mexico. Yet I fear the saying "things happen in threes." As with the hurricane-hit islands. Sometimes one just feels guilty about being alive. Giving prayers and thoughts for Mexico and the Caribbean Islands, USVI and Puerto Rico. Tragic. Warm thoughts and prayers for you also Thomas. We have to remember that 11 children were rescued from the school. Ultimately only God knows our day of passing and He has His reasons that surpass all understanding! RIP, little ones! RIP! Thank you for the reminder Thomas. Even in the midst of horrific disaster, miracles of hope emerge. Thanks Thomas, yes RIP little ones and my prayers are with the families of these little one and all of the survivors to feel God's love and strength as well as his loving arms around them! RIP little children, know that you are not forgotten and that the love is with you and always WILL be. Prayers for your journey. My thoughts and prayers are with you, your family, and all of the areas hit by the earthquakes and hurricanes. So much devastation and loss of life the past few weeks. My heart breaks for all that have been impacted. Prayers and thoughts to you, Dear Thomas! Heart, thoughts and prayers continue to flow your way for family, friends and others to remain safe during such a horrible natural disaster and aftermath in Mexico, Dear Thomas!!! Thomas3.20.2010 Prayers and love and hugs are with you...and all of Mexico. Thank You ALL! We have heard from most family members. There were some minor injuries but for the most part all will be fine physically. I'm only too aware that emotional health may be another thing! The younger generation obviously don't remember the 1985 quake but those who have been through both have been doubly traumatized. My cousin in Mexico City has told me that when the quake hit she hugged her husband and son and said, "Goodbye! I'll see you on the other side!" and they held each other until the quake had stopped. Then like everybody they ran out into the streets because gas leaks make buildings explode! They are now homeless with a total loss of property but alive and grateful! Yet we all feel fortunate because as you know - more than 300 people weren't so lucky! One of our best qualities is the resilience that comes from family pulling together! We will rebuild! Another quake today but in a neighboring state which did not affect us. It hit the same areas of the first quake back on September 8. The alarms went off in Mexico City but the quake was very far away and shallow. This was most likely an aftershock but unknown is from which quake? Both areas suffer damage due to infrastructure damage from previous quakes. The devastation is widespread and nerves are on edge! But we will continue to trust in the Lord, rebuild and heal! Oh Thomas I just can't imagine how devastating this is to lose everything that they own but thankful that they are alive, my prayers are still going up and I will continue to pray that they receive help from the governments that they receive their needs whatever they may be, drinking water, food, shelter all the essentials to get through each day! Please know that I have been praying for everyone as well. So much devastation. I'm sure that no one can truly imagine how bad it actually is without experiencing first hand. I am very saddened for all that lost their loved ones but grateful that you have been able to communicate with your family and have found them alive. As Giulia stated earlier, prayers in numbers do make a difference so I will continue with prayers for all who are affected. Thank You, Patty! I think of you often! I'll continue to send prayers for all who suffer from this earthquake. Thomas. I am glad to hear that for the most part, your family survived without great physical injury. I know the recovery process is long and difficult. May they be well.